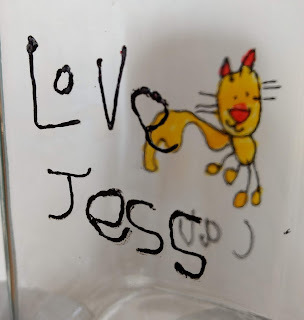 These were our main gift for Jessica's nursery teachers. She filled the storage jars with feathers and pompoms and decorated them with (yes, you've guessed it) a cat! 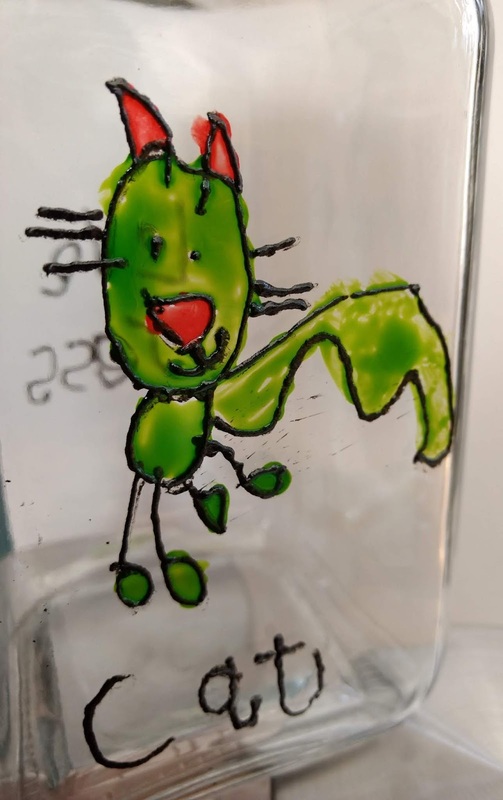 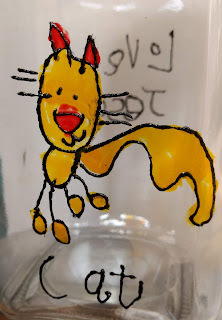 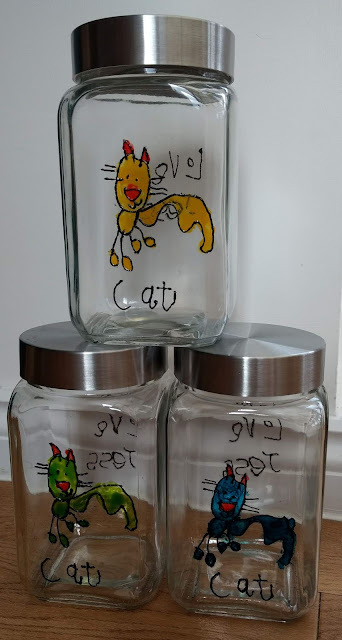 She drew a cat and wrote a couple of messages on paper, I then traced them onto the plain glass jars. Once they were dry Jessica painted the cats. We do love a keepsake!